In order to shoot nails into a shelf edge from outside the cabinet, you need a line. Instead of marking the line in pencil, which will eventually have to be sanded off, I use tape. Use a pencil to mark the center of the shelf only on the edges of the cabinet. 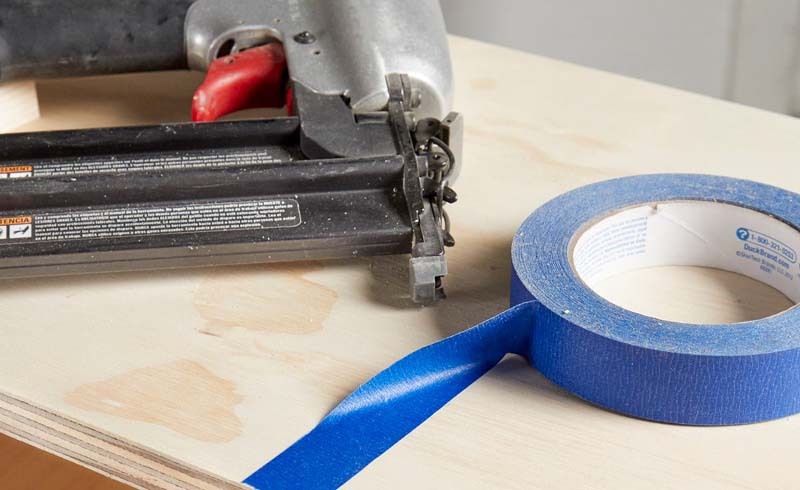 Align the edge of a strip of painter’s tape with the marks. Shoot nails along the edge of the tape for perfectly aligned nails. 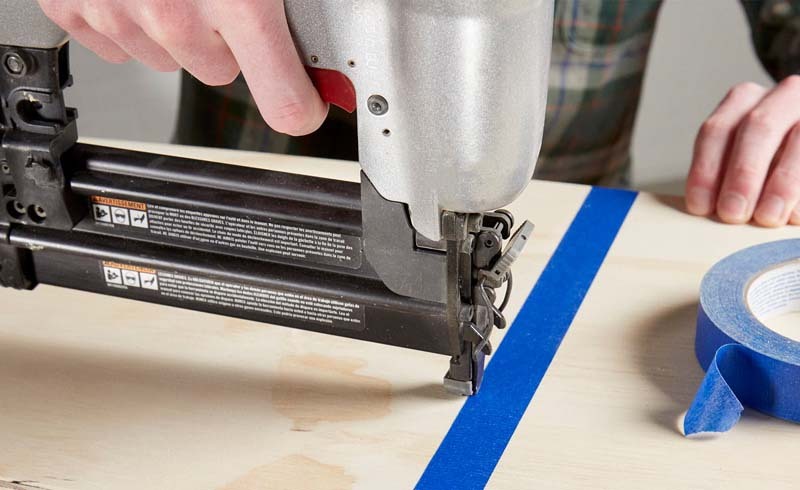 Remove the tape and you’re done, no need to sand off any pencil marks!